Dad’s Nutrition Centre is a groovy organic market and a great place to take the kids for a little adventure this week. Dad's has a nice selection of “organic and natural” produce, meats, dairy, supplements and other groceries. Earth Bound Bakery, located inside Dad’s, provides artisan breads, soups, sandwiches and a few treats for dessert. All contain local ingredients. Dad’s has some cool non-edible items as well. 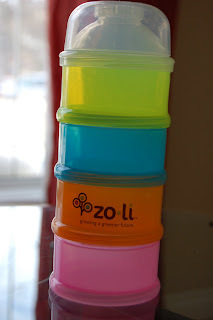 One of my recent Dad’s finds that I absolutely love is this Zoli snack organizer. It has single-handedly ended my plastic-baggie addiction. It is a perfect travel companion! There is a nice selection of organic and natural baby toiletries, toothpastes, viatmins and snacks and compostable diapers. There is also an interesting natural fertility section. Dad’s is a family-friendly shopping environment. It has an area set aside for its younger customers with books, toys and colouring books. Plus, where else in the city would you find organic produce piled high on a cool restored 1947 Ford truck? Check it out next time you're on 8th Street, Monday through Saturday.